Today folks, we’ll be taking a peek inside a truly fabulous prefabricated abode. 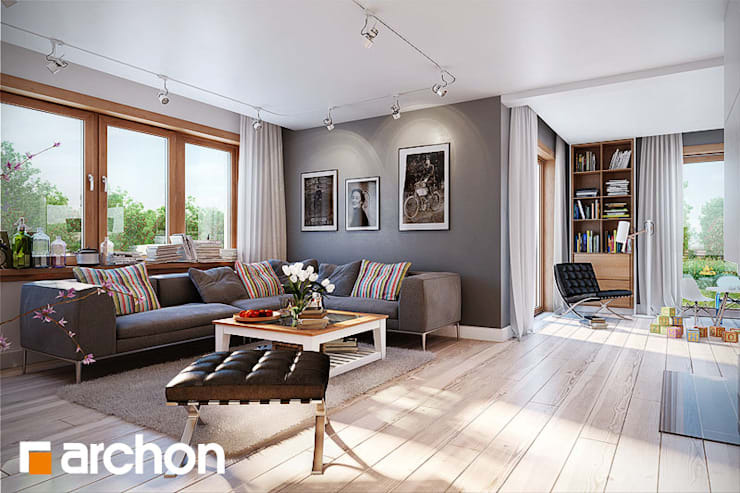 Designed by Polish home building professionals Archon + Projekty Domow, this property is rendered in high quality 3D images to give us a great idea of what this dwelling might look like once it is completed. 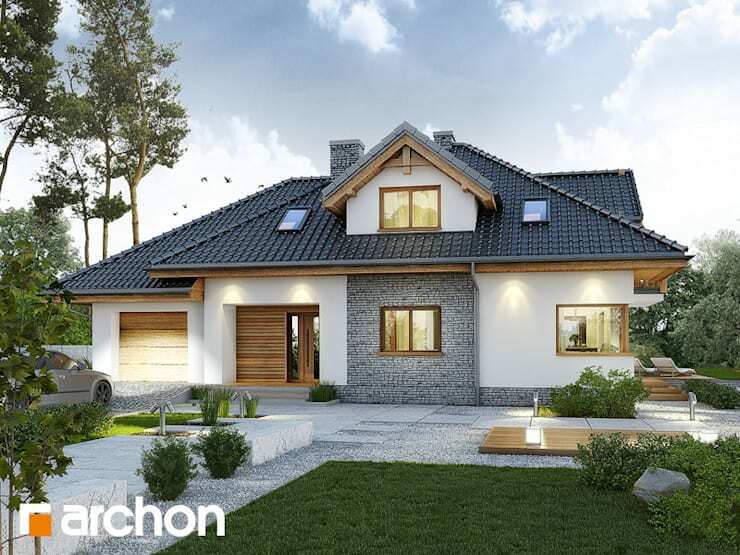 In addition, and if you like this property, we’ve also included the architectural plans to provide a general indication of the layout and structure of this home. Connected with the landscape, this property offers muted tones and natural materials that highlight the interesting features and elements of the design. 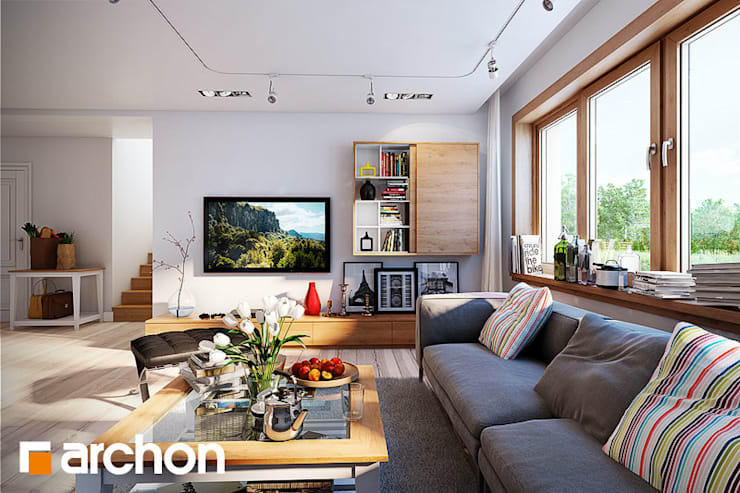 Large windows have also been included to offer a huge volume of natural light, which illuminate the open plan living space and comfortably airy design. Are you curious to take a peek inside this 167 square metre abode? Let’s check it out below! Quaint, charming and full of character, this front façade offers a range of warm and appealing attributes. Our first impression is that this property is elegant and timeless. Landscaped to make the most of the plot, the architects have kept the exterior rather humble in its adornments. This still provides impressive curb appeal, yet seeks to offer modesty and warmth through the textured walls, timber tones and stucco. The rear façade is even more impressive than the front! Surprisingly adorned with interesting architectural features, this space offers a large covered terrace that is ideal for all-weather entertaining. Additionally, the 3D render includes some ideas for landscaping, boasting manicured lawns, additional decking and plenty of garden beds. 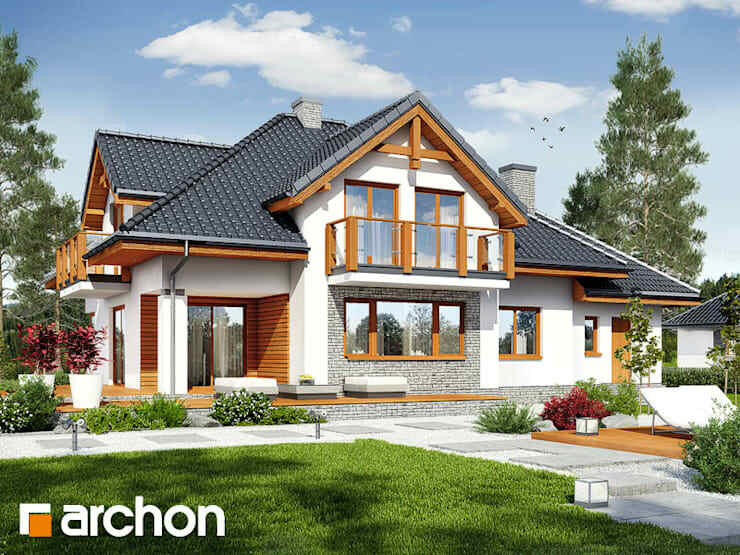 Although the front of the house includes modest ornamentation, the rear offers interesting dormer windows, and balconies to the upper-storey bedrooms. This house certainly is cosy! Replete with overstuffed furniture, a home theatre and plenty of reading material, this dwelling ensures its occupants have lots of options to keep them busy and productive. In addition to choosing a neutral and age-defiant colour palette, the designers have also included dozens of personal touches that ensure the interior is welcoming and original. As with all family homes, it is important to have a space to gather family and friends. In the centre of this abode, a fireplace has been incorporated. Simple and functional, this centre column helps delineate certain areas within the large space, while also ensuring everything stays open and airy. From this angle, we’re able to see that natural light is really an important feature throughout the dwelling. 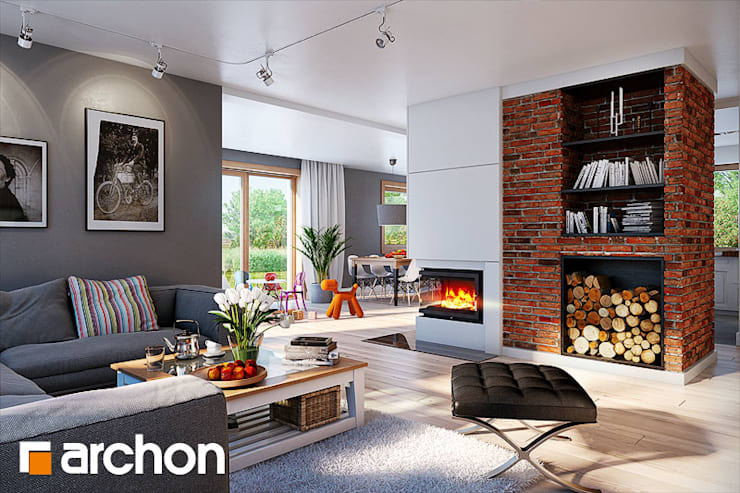 Warm, spacious and light the interior offers an open plan layout, which boosts usability, as well as practicality for the house’s occupants. Light timber floors are also continued throughout this room, with a resulting elegant, classic and enduring aesthetic. In the dining room, we see that this space is wonderfully designed to accommodate the littlest members of the family, as well as the oldest. 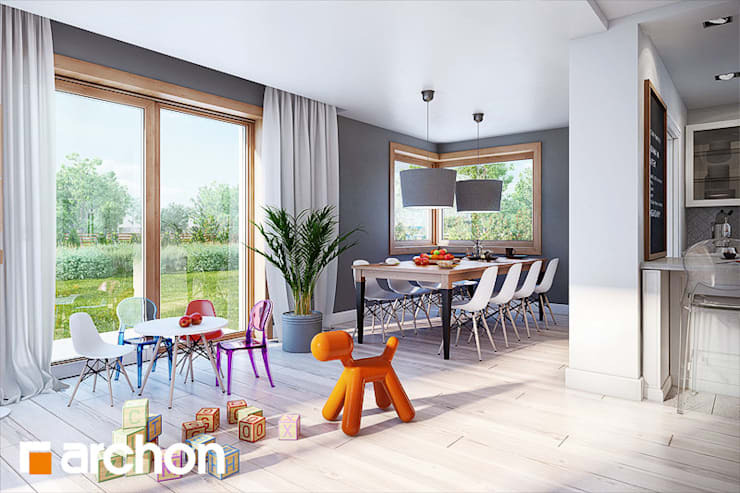 A space for children sits next to the formal eating area, with suspended light fittings and plenty of room for an extended group of guests. 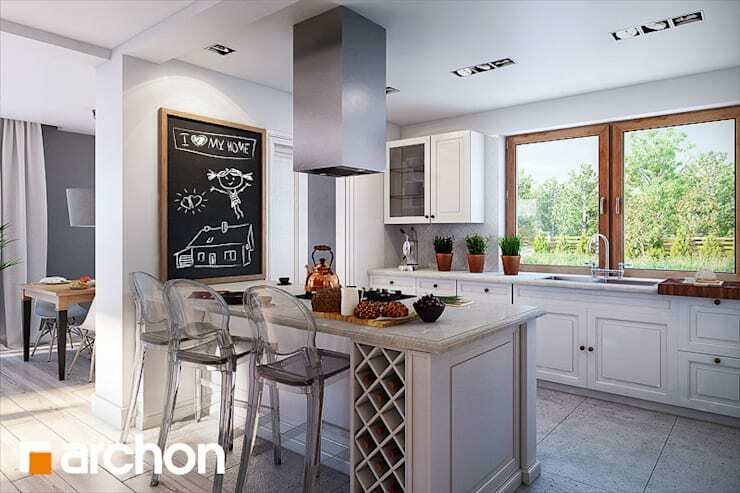 This eat-in chef’s kitchen is a perfect example of style and usability. With Perspex chairs, the design is somewhat modern yet boasts a country style aesthetic, with contemporary amenities. This combination of features ensures the timelessness of the entire room, adding to a multi-generational sense of liveability. 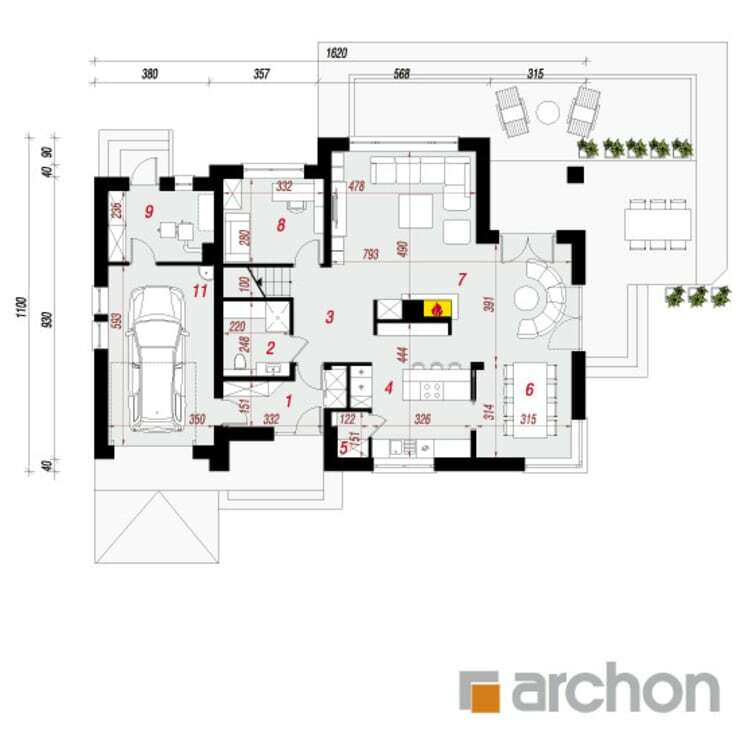 Before we end our tour we take a look at the ground floor plan of the home. This is there to give you an idea of the layout and general setup. If you’re building your own dwelling, you’ll likely see a few things that might apply to your own floor plan. Ingress points are particularly crucial as these often determine the ease of accessibility between different areas in the home. Looking at this plan makes it much easier to understand the 3D renders above, and helps show how accurate architectural drawings actually are!